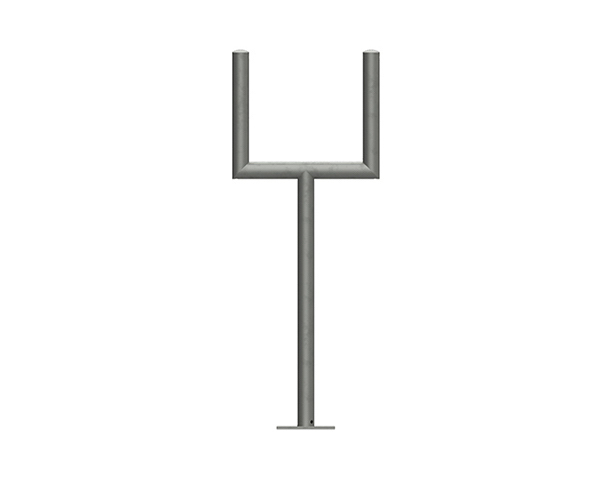 3D CAD Modeling files for instrument stands are available on our Resources area under Modeling Files & Typical Installation Details under Accessories. Standard TechLine Mfg. 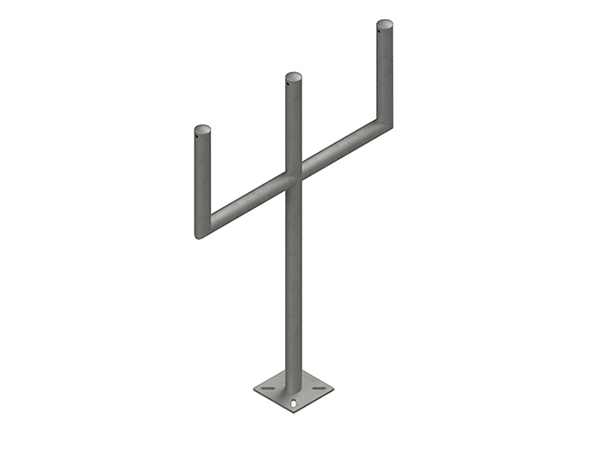 instrument stands are fabricated from 2" Schedule 40 Pipe and utilize a flat cap design along with 8" X 8" X 3/8" base plates. 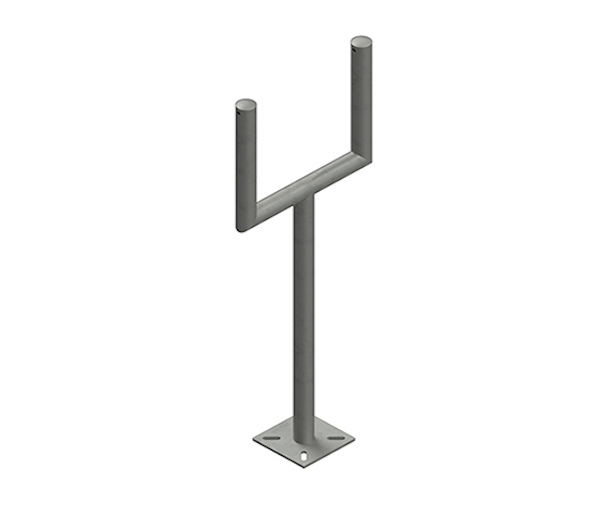 Standard stands are Hot Dipped Galvanized Carbon Steel meeting ASTM A123/89 requirements. Optional coatings are available upon request. Hot dipped galvanized stands come standard with weep holes and an open base to allow for drainage. 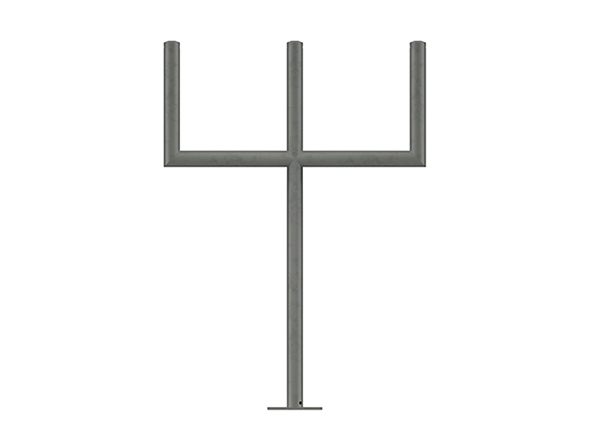 *Up to 4 Uprights Per Single Leg Stand. More, Please Use Dual Leg. *Galvanized is standard. Other materials available upon request: Aluminum, Stainless Steel, Metallized, Paint.